FUNimation VS FUNimation: Dead Zone. | Welcome to "The Weasel's Last Fart!" Welcome to "The Weasel's Last Fart!" It's the little corner of the Internet you can find through an odd address. ← TMNT: Anime OVA “Super Turtles” & “Metal Mutants” Review. FUNimation VS FUNimation: Dead Zone. Now that you’ve scrolled back up because you were so distracted by the pretty pictures – hello! So, what the heck is FUNimation VS. FUNimation? 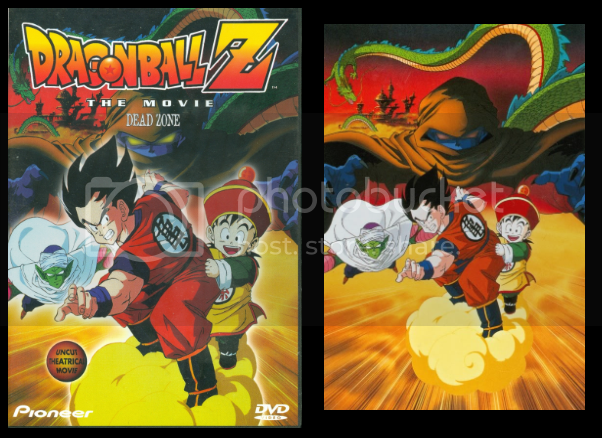 Well, I’m gonna look at the the differences between the 3 FUNimation DVD releases of DragonBall Z movie #1 “Dead Zone”. The first time FUNimation released the Dead Zone on DVD was back in December of 1997. This wasn’t part of any particular DVD line as it was the first time this was being released and usually a DVD line is given to later releases. It contains the Ocean Group voice cast and uses the original Japanese BGM. This is something that, at the time, was only done for the movies. It should be noted that this release also contained Hanna-Barbera sound effects added to the audio…for no apparent reason. As you can see above, the cover art for this release uses a slightly edited version of the original movie poster. It also uses what I call the 1997 DragonBall Z logo. Instead of having the word “Dragon” in yellow and the word “Ball” in red like it is originally, it combines the two colors throughout the whole logo. 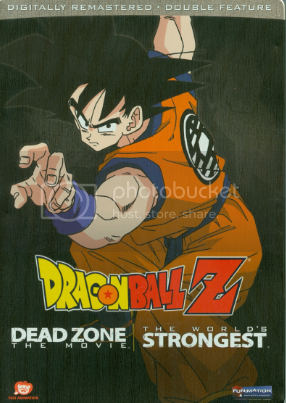 The second release by FUNimation of Dead Zone came in May of 2005.This version has the FUNimation in-house cast that had replaced the original Ocean cast back 1999 and have been the default English voice cast until 2010 when DragonBall Z Kai was dubbed. This was released under the “Ultimate Uncut” line of DVD’s. It was a short-lived line that covered FUNimation’s in-house dub of episode #1-67, effectively sweeping FUNimation’s first dub of those episodes with the Ocean Group cast under the rug. The first three films were also redubbed. 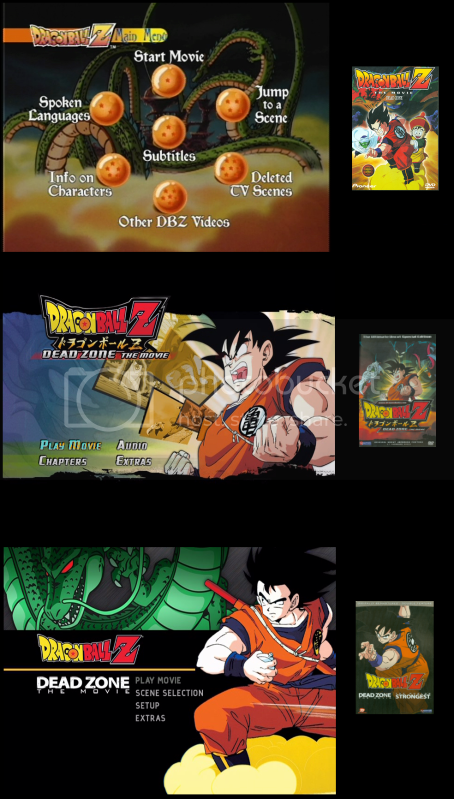 Before the season sets were release these first three films and sixty-seven episodes were only available with an English dub containing background music by Nathan Johnson. 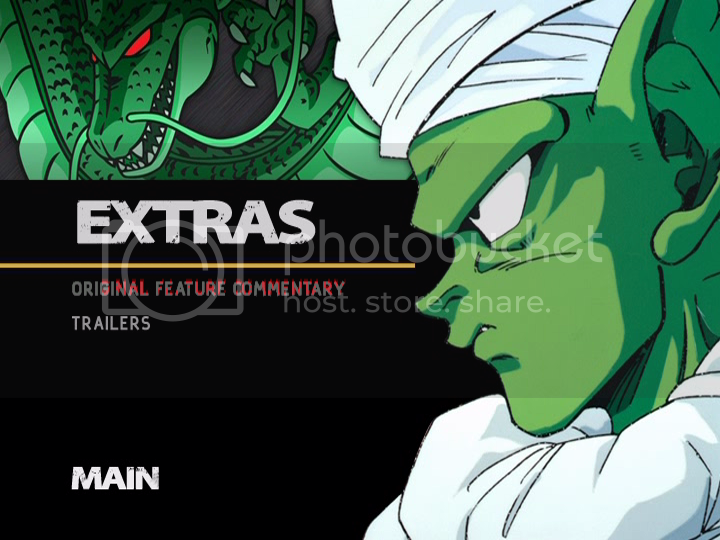 The cover art used screen shots from the movie (as seen above) and the logo which reflects the style used for the “Ultimate Uncut” line. The third release came a few years later in 2008. This was released under the “Double Feature” line of DVD’s. It kept the dub from the previous release, but this time you had the option to have the original BGM play in the dub track. Also, despite being released widescreen in Japan, this was the first time in the USA, Dead Zone was released in cropped widescreen. 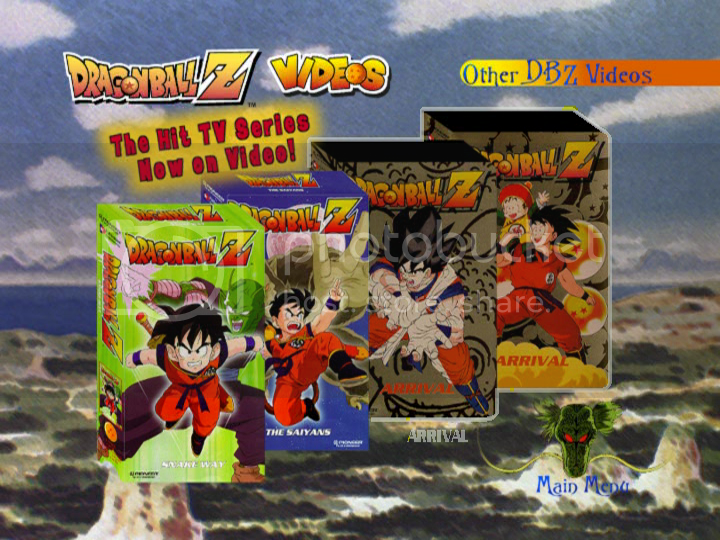 The cover art used typical promotional art of Goku and the DVD cases for this line were made out of tin. And the other section, “TV Deleted Scenes” was basically episode 1 and episode 9 without the intro, recap, title screen, closing and next episode preview. Also, there are few minutes missing, more so in episode 1. 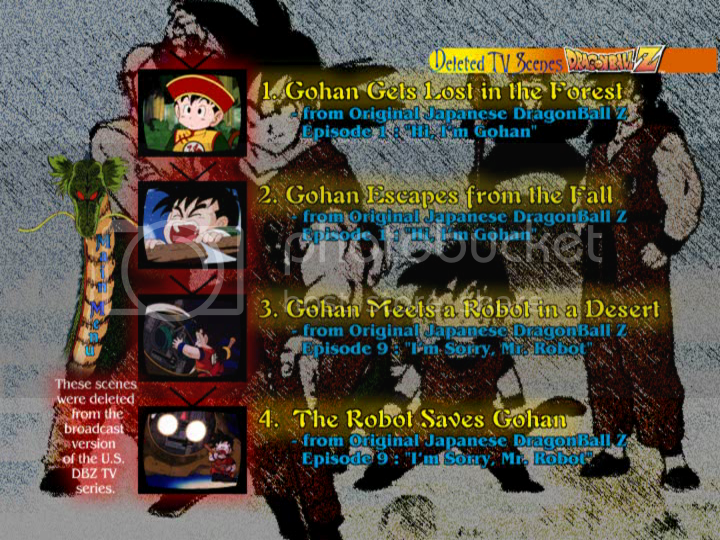 But hey, this was the only time until 2005 you could view episode 1 and 9 in Japanese, subtitled in English legally. How crazy is that?! Last thing I’ll mention about the 1997 menus is that it had one of the coolest little options EVER! When you go to the “Spoken Language” menu you will notice one of the languages you can choose is Namek! See, that’s funny. That’s pretty awesome. Why hasn’t there been more of this fun stuff?! The only other thing worth mentioning in the way of extra’s on these Dead Zone discs was the commentary track on the Ultimate Uncut edition (the second Dead Zone release). But, it also pops up later on the Double Feature version too. Other than that, there really isn’t anything else to say about the menus or extras. I will say though, I noticed the chapter select option is called something different in each version. I guess a good place to start with these is the transfer. It is likely to be the first thing you notice. Here is a shot taken from each DVD, shown with the subtitles. Try not to pay too much attention to the translation differences, we’ll get to that. The Pioneer DVD is showing its age next to these two. I mean, it was released in 1997 so it’s to be expected. 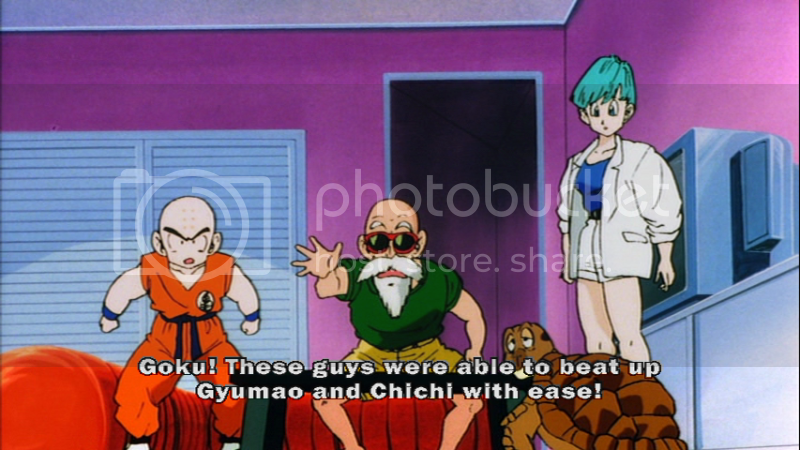 It’s most obvious in tighter, smaller areas like Bulma’s hair or uh… Krillin’s crotch…. But, does it always mean just because something comes out later it has to be better? Well if you’re looking at these screen shots, you’ll see that’s not true. The Ultimate Uncut version seems to look a lot better than the Double Feature. The color alteration on the Double Feature release kills it for me. It not only gives an almost oil painting look to it, but in some scenes radically changes the color of certain things. 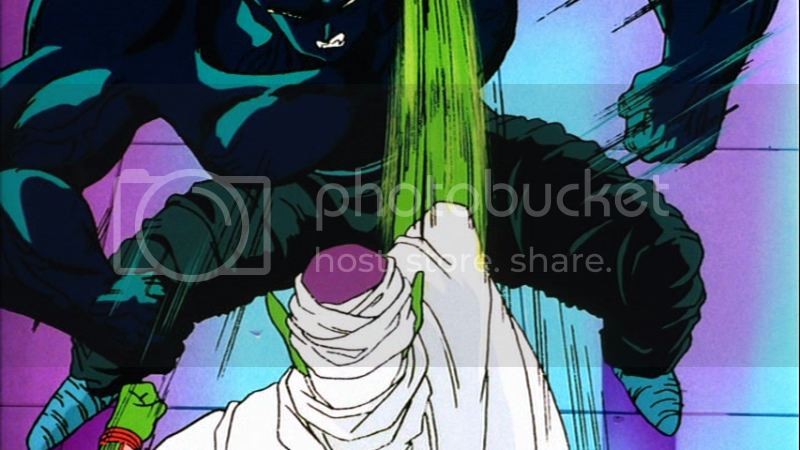 For example I used a color extraction tool and took the skin color of Piccolo and put it side by side by side. You can see the first and second are similar, but the third, the Double Feature, is radically different. It’s almost a lime green color. Also, as expected, the Pioneer version seems to have the most macro blocking, the Ultimate Uncut version, not so much. The Double Feature doesn’t have bad macro blocking either but the colors just kill it for me. First the opening. The Pioneer version has the Japanese credits on screen and translates them on the video and not on the subtitle track. Even though the translated credits aren’t a subtitle track, they’re done pretty nicely and I don’t mind it like this. The Ultimate Uncut version has the Japanese credits on screen, but aren’t translated anywhere. I don’t think I mind this way either but, it’s always nice to give credit where credit is due. Then we have the black sheep of Dead Zone DVDs, the Double Feature it just doesn’t have the credits at all! I don’t know why they’d feel the need to use the textless opening as the default opening. They had the credits in the past two releases, why not now? I noticed while doing this that the only version that credited the Japanese voice actors was the first release, the Pioneer version. The two other DVDs have the same credits and don’t credit the Japanese voice cast. 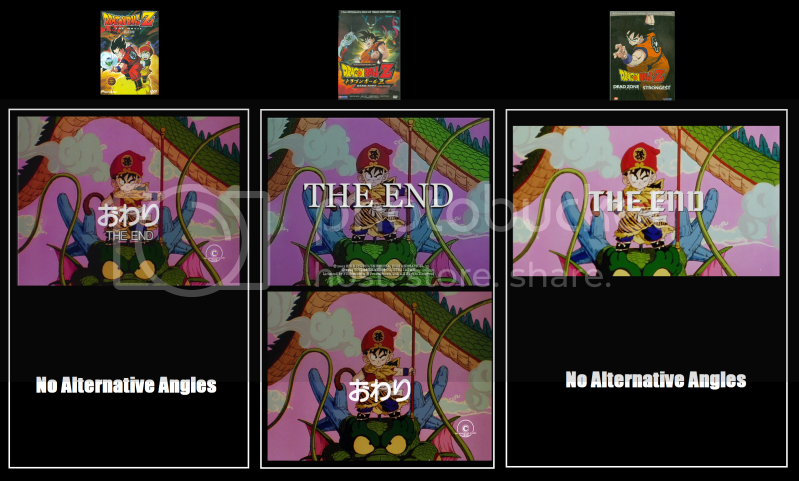 But the Ulitmate Uncut version does have another video track to view the Japanese credits. I know FUNimation did away with alternate angles a while ago but, I actually really like them. I feel it’s a way to view the movie or episode without all the English alterations like title cards or closing credits. 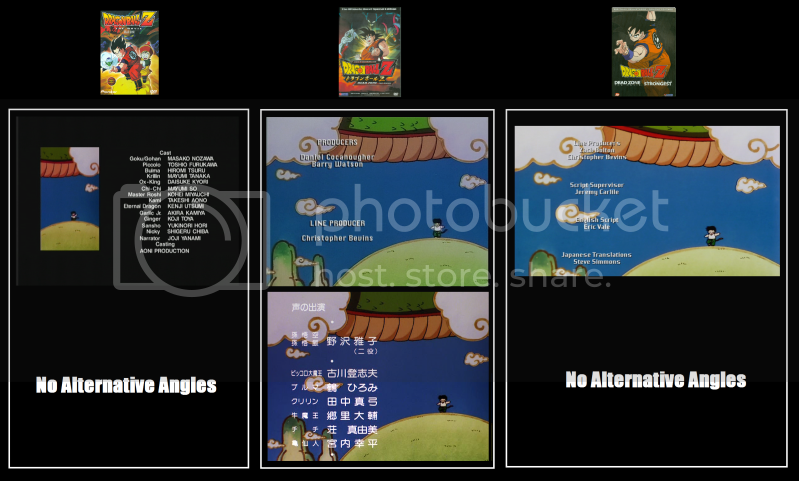 Also, between the UUC edition to the DF version, FUNimation made the font smaller and put the credits closer together. The translation presented in the dub is a little different in each version. I’m not going to get into an Ocean cast VS. FUNimation cast debate here; I’m just going to be talking about the dub scripts. The Pioneer version, besides using the Ocean cast has a dub script that is pretty close to the original Japanese script. I think, to this day, I think it’s one of the best dubs DragonBall dubs out there. 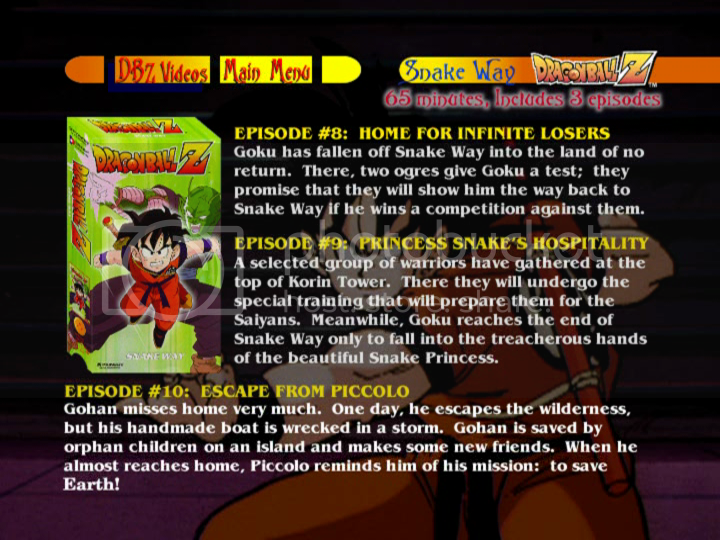 The second release, the Ultimate Uncut seems to use the Pioneer script for reference, there are times when the lines are the same in both dubs but then the UUC edition will replace some words here and there. I don’t think there was really any reason to change a few things here and there, FUNimation probably just wanted to add their own bit of (or lack of) flair to it. Overall if you want to watch this in English, I’d say the best way is still the Pioneer version. Here is a (50 second) clip from each version comparing the two dubs. In this scene you can see the UUC edition doesn’t stray too far from the Pioneer version, but also takes some liberties. Also, on the subject of differences in the dub – the insert song “The World’s Greatest Gohan” seems very, very odd the Ultimate Uncut and Double Feature versions. 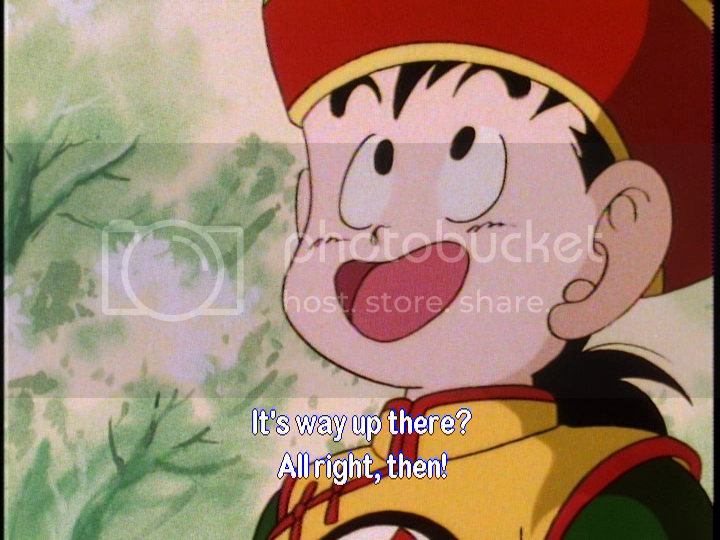 You see, in the Pioneer version the dub plays the insert song in Japanese with very minimal sounds coming from Gohan. The UUC version, since it replaced the original BGM, there is no song and has Gohan laughing and making noises THROUGHOUT THE WHOLE SEGMENT! It actually sounds really… stupid. I know you might think I’m just bashing on the dub because it’s FUNimation and bla bla bla but, if you know me from here, you know I don’t usually do that…but in this case, yeah. It just sounds pretty bad. The Double Feature, even though it has the original Japanese BGM in the dub, it uses an instrumental version of “The World’s Greatest Gohan”. Check it out for yourself. You will be amazed when comparing these side by side, how just plain odd the UUC and DF sound. Thankfully they aren’t on the Japanese track. But you know what the real crazy part is? Some of the added cartoon sound effects later showed up in the Japanese track of the UUC version! Speaking of audio. The Japanese track on every release is mono, it’s just the way it was done in Japan so it’s really best not to tamper with that. The Pioneer version has a Stereo dub track. The UUC has English 5.1 surround sound track as well as a regular stereo track. And both of the Double Feature’s English tracks (FUNimation cast with Japanese BGM or with Japanese BGM) both have 5.1 surround sound. I think that covers the dub part of the movie. Next I want to talk about the Japanese part of the movie… well, the subtitles to be exact. In this case we have two different people translating the same movie. Rika Takahashi translated the Pioneer version and Steve Simmons translated the UUC version and his same translation is used in the DF version. Now, I gotta say the two translations differ quite a bit. Sure in some scenes they’re a little similar, but mostly they have obvious changes. Take for example the opening “Cha-La Head Cha-La” (each line is what’s on the screen at one time). Puto, pointed out while talking about this in the chat room that, she went back and changed her translation of Cha-La Head Cha-La in the other two Pioneer movie releases, but for now we’re only talking about Dead Zone. Now, you might think sure, they’re different but they’re similar. Well yeah, but that’s just the opening and closing. But, during the movie there are some scenes here and there where the translation is almost totally different! This is kind of confusing. I didn’t really know who to take seriously. But I came to the conclusion that I should go with Steve Simmons. The reason for this is that he’s a DragonBall fan and actually a member of this (Daizenshuu EX) forum. He knows this series and understands some characters have accents, some people have nicknames for other characters, certain prefixes are translated, and he’ll point out Japanese jokes and so on. I could have taken a screen shot of every screen that had subtitles and shown how they were different. But that would be insanity! So here are a few more examples. I don’t know how to explain this one. Did Goku say “darn it” or was this just a liberty taken by Rika? As for name spellings, do you prefer “Krillin” or “Kuririn”? I always see “Krillin” as more of a dub name but, I usually spell it like that when I have to type his name. I also say “Krillin” cause I have a really hard time even pronouncing “Kurirun”. 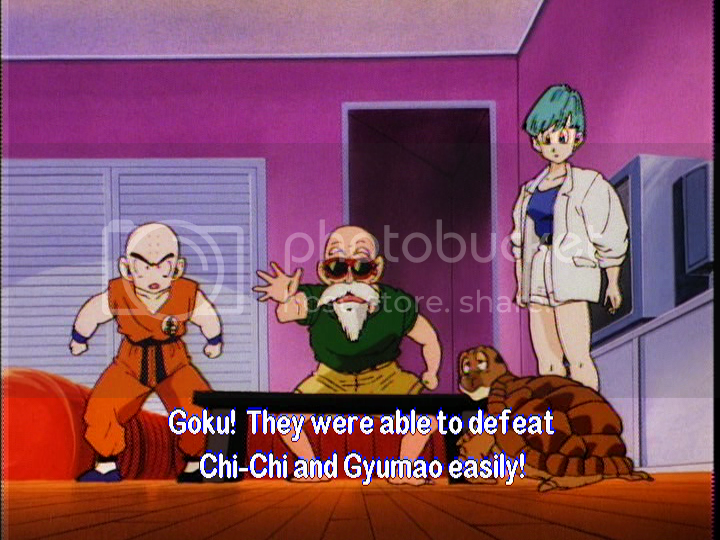 But, in a subtitled version I do prefer “Kuririn” because that is what the character is actually saying. 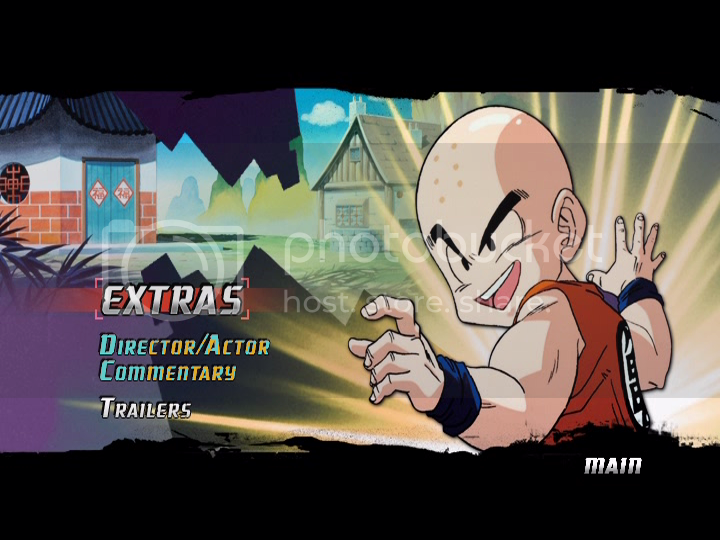 You could translate it to “Krillin”, sure people probably wouldn’t mind. 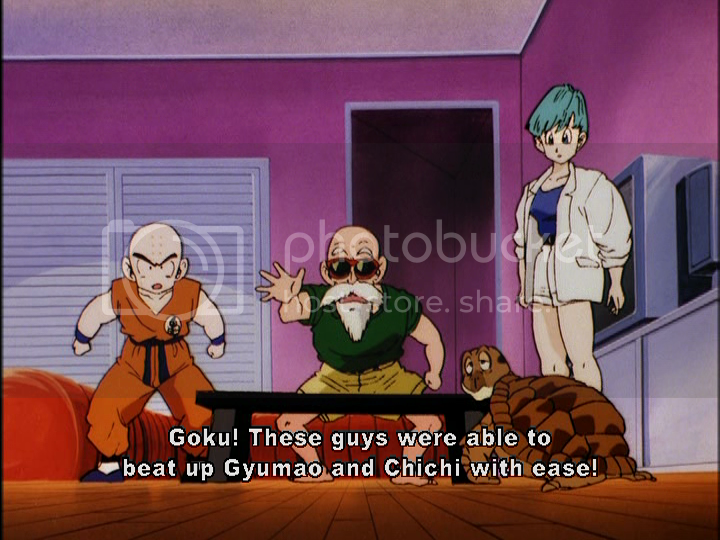 But the thing is, they aren’t saying “Krillin”. Same thing with “Ox King”. I know his name is “Gyumao” but I always say and write “Ox King”. So, like I said before, I’d choose Simmons over Takahashi since Steve Simmons is more familiar with the DBZ series and I love his style of translating. I’m well aware of people out there who prefer Takahashi because they feel Simmons sounds to stiff. I’m sure those few people will respond and explain why they prefer her better then I could. And with that, I think that covers just about everything. If you’re looking to watch this in English: I’d go with the Pioneer version. The dub script is the closest I’ve seen to the original material. Sure it might look a little crappy compared to the kind of transfers we have today. But it’s worth it. Older fans from the 90’s will tell you they’ve watched some crappy VHS fan subs, this is nothing compared to that. If you’re looking to watch this in Japanese: I’d go with the Ultimate Uncut edition. It has Steve Simmons translations and as an added bonus, it has the original opening, closing and “The End” screen so it pretty much takes all the added FUNimation elements out of it. Also, the transfer isn’t bad either. Probably the best until the DragonBox: The Movies are released here in the US. Big thanks to JacobYBM (Yuugi’s Black Magician) for his editing skills! Tenchi Muyo Movie Collection (FUNimation) DVD & Blu Ray Set. Super Mario Bros. Fruit Snacks. The History of Super Mario World. Tenchi Universe (FUNimation) Complete Series DVD Set.